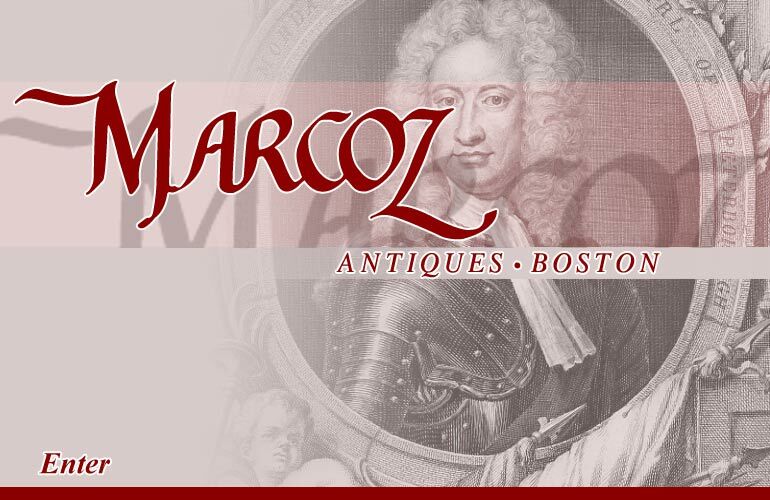 Since its inception on Newbury Street in 1972, Marcoz Antiques has remained a cornerstone establishment of this historic, highly competitive neighborhood. Featuring a collection of fine, rare antiques from around the world, Marcoz is situated in a refurbished Back Bay townhouse, with the original stairway and interior. The store itself is an antique. Over thirty years of experience have enabled the store's proprietor, Marc Glasberg, to establish relationships with international collectors and antique specialists. Trips around the country and the world abound, as the selection of antique furniture and decorative art is constantly updated. Every piece in the store is chosen. The stock of rarities is on display in a bi-level layout with three galleries. Among a variety of choices, Marcoz specializes in 18th to 20th century European furnishings. The diversity and appeal of Marcoz' collection has attracted a wide range of clientele, ranging from those in New England to connoisseurs from other states and nations. Notable patrons over the years have included the Kennedys, Meryl Streep, Ralph Lauren, Donna Summer, Bryant Gumbel, Paul Newman, Joanne Woodward. The retail store is open from 10:00 a.m. to 6:00 p.m. Monday through Saturday and all major credit cards are accepted.